We annotate our digital files with oodles of useful data - geotags, comments, analytics, and descriptions designed to make them useful and discoverable. Why not do the same with the real world? With Mattertag™ Content, points in 3D space just got metadata. Today we’re announcing the first type of Mattertag Content: Mattertag™ Posts. 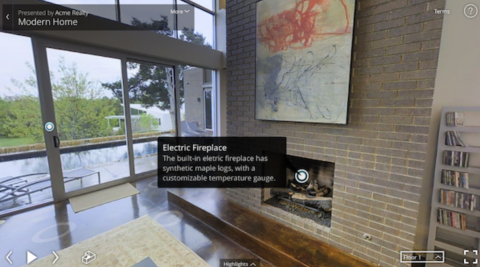 These are text descriptions anchored to any point in a Matterport Space. Mattertag Posts open the door to spatial metadata - anchoring information and rich content to a specific location within a Space. People use Matterport Spaces for communication, marketing, storytelling and more. No matter the industry, Mattertag Posts take Spaces to a new level. Mattertag Posts are comments in real space. For those who use Spaces as a communication tool, they enable contextualized communication by letting remote users ask questions or give instructions as if they were standing on-site. Mattertag Posts give you a title and 105 characters to grab your audience and point them to what’s important about a physical location. Information embedded in Spaces means longer engagement and return visitors, and highlights hidden gems. Mattertag Posts are just the beginning for an annotated digital world. The future of Mattertag Content includes associating varied rich media with a dimensional location or object. Copyright © 2016 Matterport Inc., All rights reserved.